After a pretty stellar cocktail experience at The Walker Inn, we needed some food in our bellies to soak up the booze and thus moseyed over to Dan Sung Sa, perhaps Koreatown's quintessential sooljip. 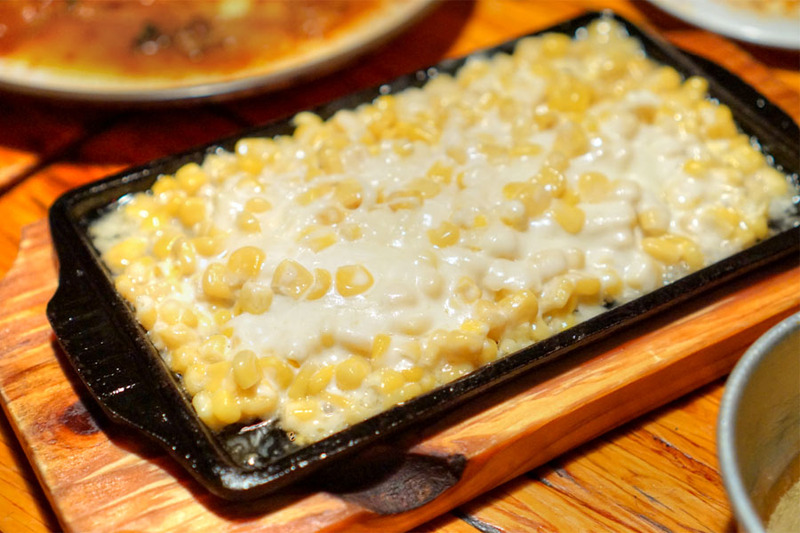 Named after Danseongsa, the first movie theater in Korea, the bar was started in 1997 by Byung Cho--a Korean immigrant who came to the US in 1992--and has firmly established itself as one of the top spots to get your anju (drinking food) fix. Inside, things are decidedly old-school-Korean-drinking-hall chic. There's lots of hand-finished wood (crafted by Cho himself), and lots of scribbling on said wood, not to mention retro posters and whatnot lining the walls. I dig it. 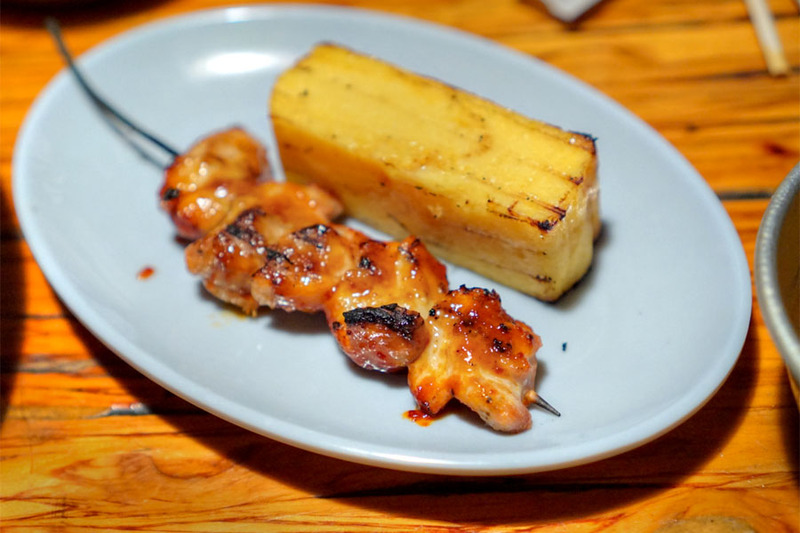 As far as the menu goes, you get all your pojangmacha-inspired classics, with a particular emphasis on the skewer selection (and don't worry, there's an English version of the menu as well). 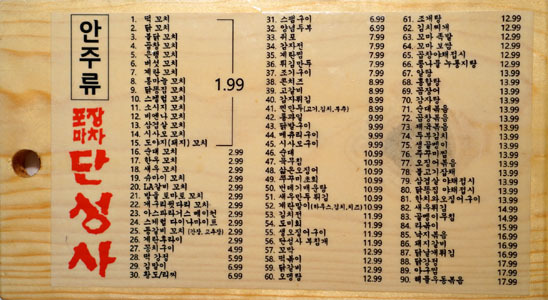 Drink-wise, think beer, soju, makgeolli, and the like, natch. Click for larger versions. 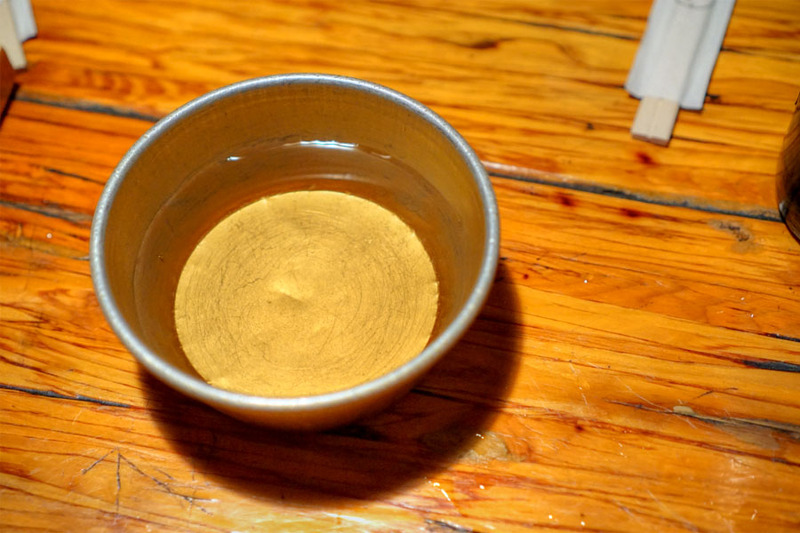 Beverage-wise, we largely went with the complementary boricha, that toasty, roasty barley tea. Coming out all spicy and smoky, the bul dakkochi was very tasty indeed, as was the fluffy, slightly sweet gyeran kkochi. Interestingly, we didn't actually order these items, so I'm not sure if they were meant to be complementary or what. 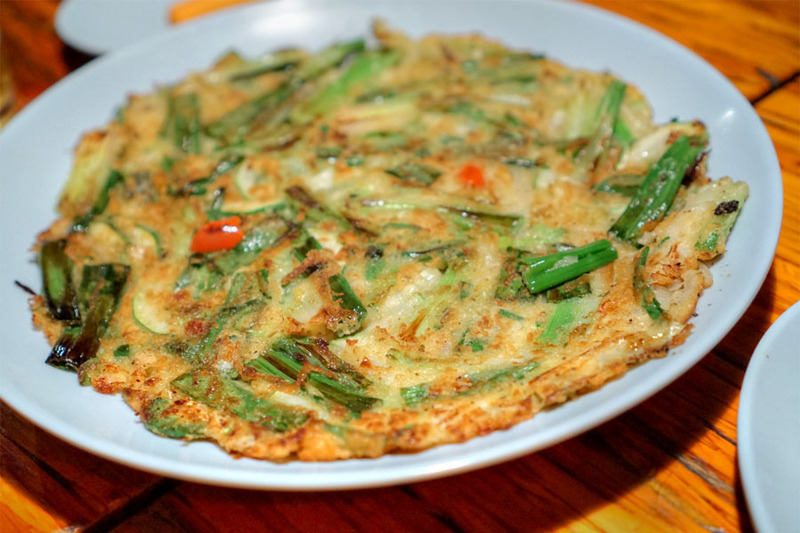 We ordered a haemul pajeon (Dan Sung Sa buchimgae on the menu), but somehow managed only to get the non-seafood version. That being said, it was one of the better versions I've had, spot on texturally, and with the zestiness of the green onions really well conveyed. Yum. 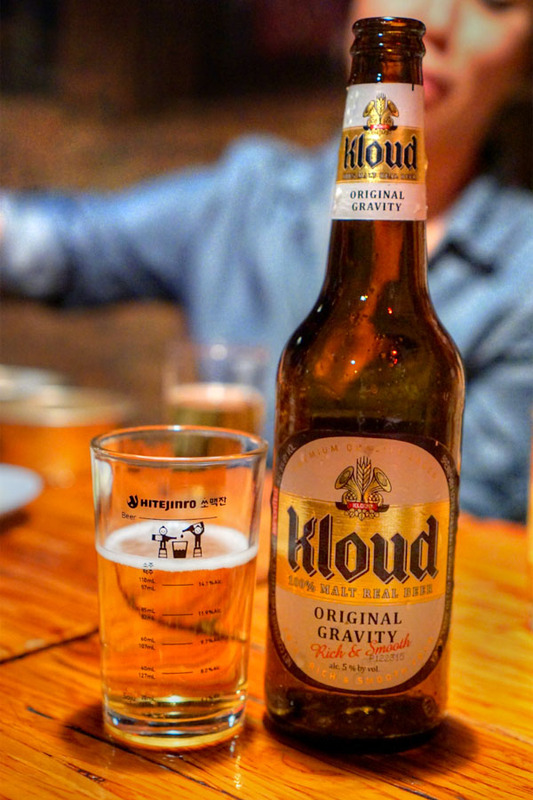 Given where we were, at least one beer seemed called for, hence a bottle of Kloud [$6.99], which I actually find a bit more flavorful than your typical Korean suds. 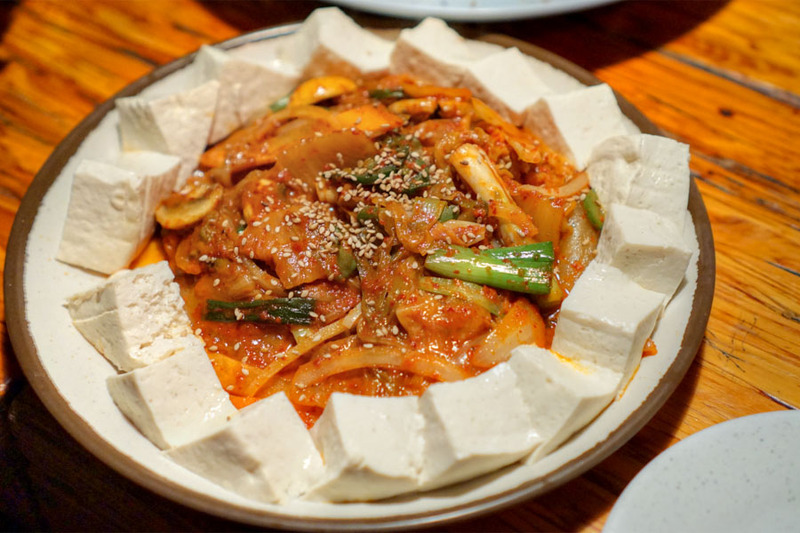 Dubu kimchi was on point as well, with the pungent, spicy kick of the kimchi perfectly contrasted by those dense little nuggets of tofu. The kon chijeu, meanwhile, came out sweet 'n' savory, and properly cheesy. 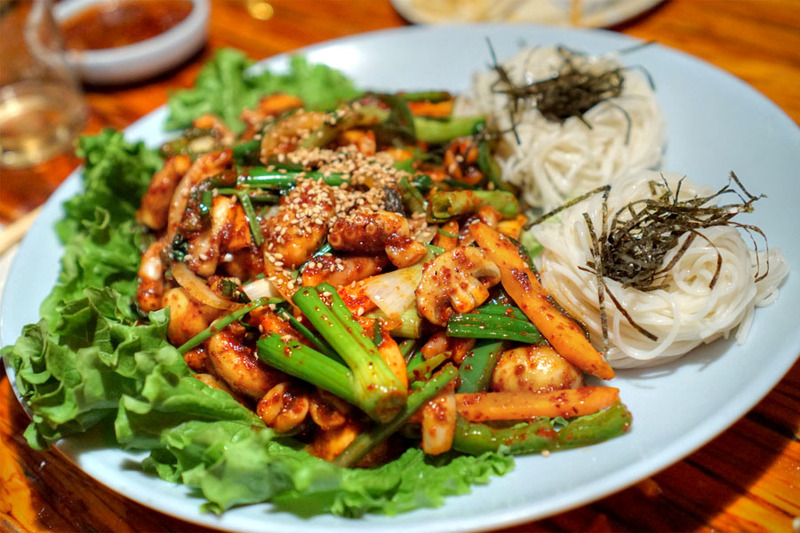 Last up was the nakji bokkeum, which turned out to be one of the strongest preparations I've had, with the spicy, supple-yet-crunchy octopus impeccably matched with the various veggies, those scallions especially. Great counterpoint from the somyeon (which was an extra, unknown charge), too. After sampling a dozen or so cocktails, DSS definitely hit the spot, serving up the comforting, cozy sort of Korean cuisine that you want after having a few. 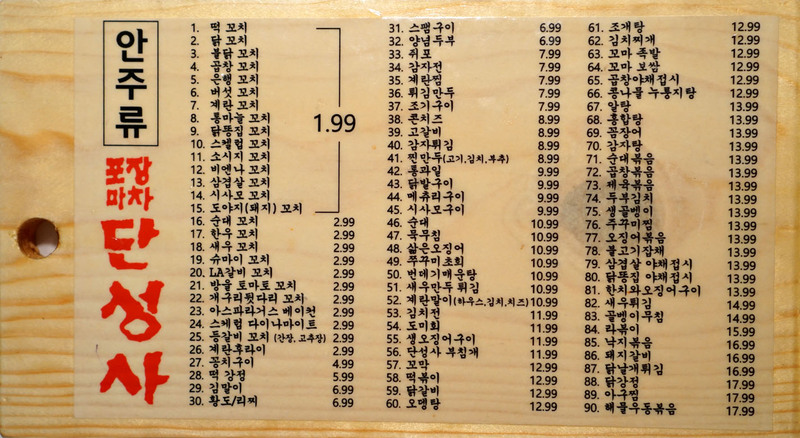 Sort of an essential K-town spot. We'll be back of course. I always just call this place the korea unification bar with that mural they have. 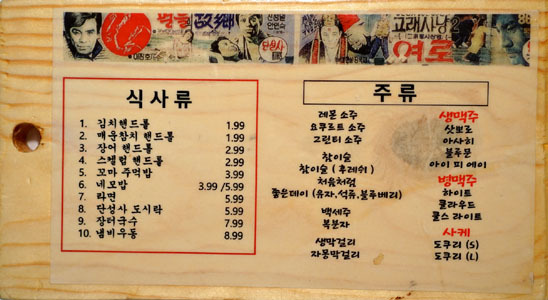 Why wouldn't you post the english version of the menu for us???????????? Charlie: Actually not the first time I've heard DSS refered to as that. 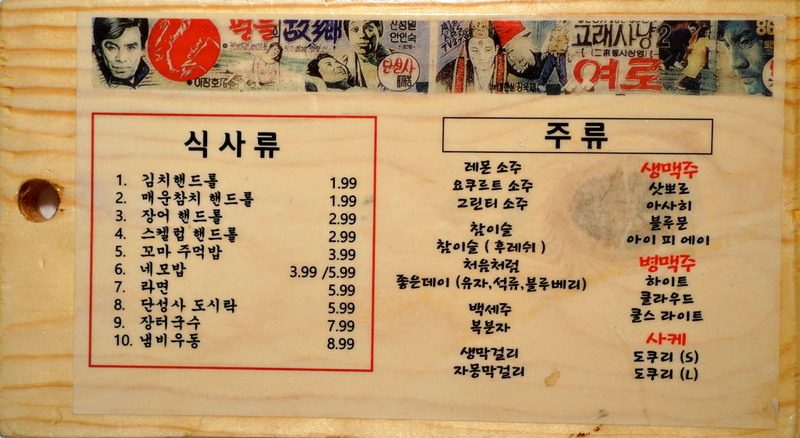 Anon: We were only given the Korean menu. However, you can see photos of the English verson on Yelp.